Humans have five senses. These are the senses of hearing, sight, smell, touch, and taste. However, all these five senses may not be enough to live, learn, and educate the world. How about animals? Many scientists believe that most animals can detect the north and south magnetic orientation to help them navigate. Well, how many senses do animals have? They may have more senses than us. 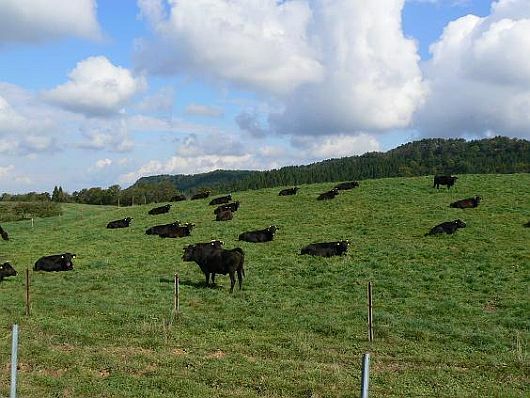 Notice the two photos above where the cattle are facing the same north direction when they are at rest. If you observe large stock farms, ranches, and pastured areas via satellite photos, you will notice that animals at rest are facing north. According to most gardeners, even trees have "magnetic sense". North and south direction can be identified by observing the growth rings of the tree. The tree rings are more noticeable on the side facing the equator, and so the other side with wider spacing between individual rings faces north if you are south of the equator, and vice versa. Sea turtles, eels, and other fishes have magnetic sense. How about migratory birds? They can come back where they were born. Yes, we believe that all living things are given such senses. But there is one more thing worth mentioning aside from magnetism. That is "spirit". Science does not recognize spirit, although most scientists believe its existence. We humans do not see or cannot see the spiritual world in normal state. However, do you believe that most animals can see such spiritual world if they want to? 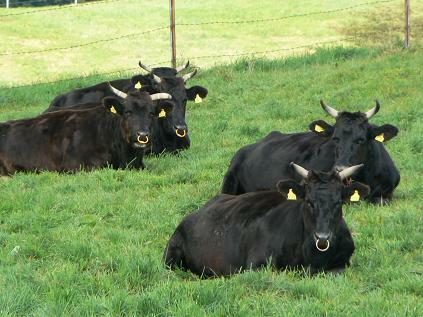 Why do most animals like cattle are facing north when they are at rest? Scientists believe that it's the magnetic sense. How about dogs and foxes howling and barking more often during the night of full moon? I can tell you that all of them including human beings are guided by spirits. Yes, groups of spirits move around during full moon. The dog's sense of smell is not just the smell alone. It also has spiritual connection. Most animals can see the world of spirits. That's how they can move, too. Scientists try to prove medical technologies by utilizing animals. Don't you know that animals won't get the same illnesses human suffer? Forty-six years ago, a Japanese veterinary surgeon travels to poultry sites with me, and told me that most chickens he saw were affected by arthritis. We argued and I told him that chicken don't suffer from it, whereas it is the people who made the chicken suffer from arthritis-like illness. We traveled further together, and at a watermelon farm, we rested and ate fresh watermelon offered by the farmer. The watermelon was sweet but it was full of big seeds in it. The veterinarian told me that most watermelons he ate have no seeds at all, and that he can send me a variety of seedless watermelon seeds. I said, "Where did you get that seeds from seedless watermelon?" We both laughed. By analyzing the natural and man-made things, and primitive and modern way of living, you can understand that we are facing to the wrong direction. 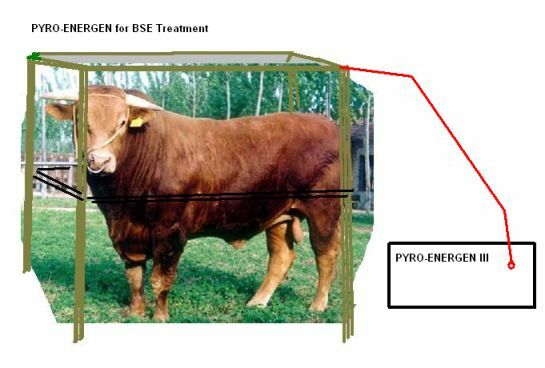 You may also read our related article about cow raising entitled "PYRO-ENERGEN Treatment and Listening Music: You Can Change Your Life to Success". 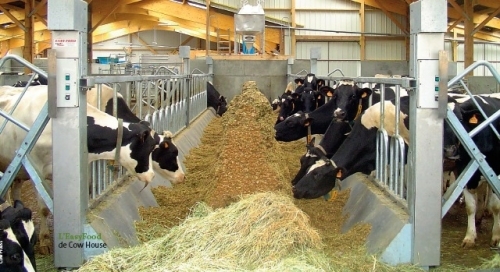 Here's some interesting note that cow milk producers and cow raisers as well as animal-producing sectors who never realized the orientation of animal sheds or cowsheds. For sure, even well-educated veterinarians may never think that the cow should rest or sleep with their heads facing north direction and their sheds should be constructed in such a way. I visited several farms and noticed that most cowsheds are constructed just like the photo above with animal heads facing each other to minimize space and man's labor. If you want to expect more milk and with healthy conditions, I recommend cowsheds with each cow facing north, although more area may be needed. 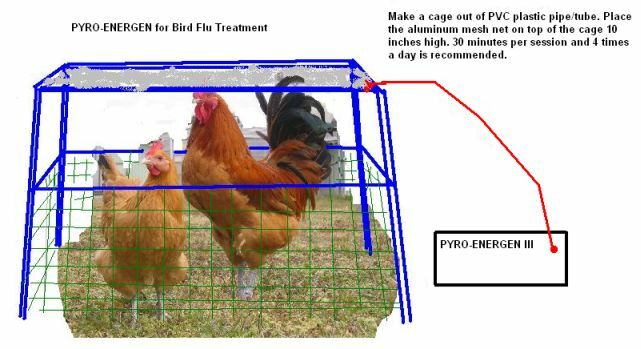 Also, we can recommend using PYRO-ENERGEN III that is specially designed for animal treatment.